With the sun shining it’s always nice to get out of the house and into the garden. The children are always looking for something to do if the paddling pool isn’t out. 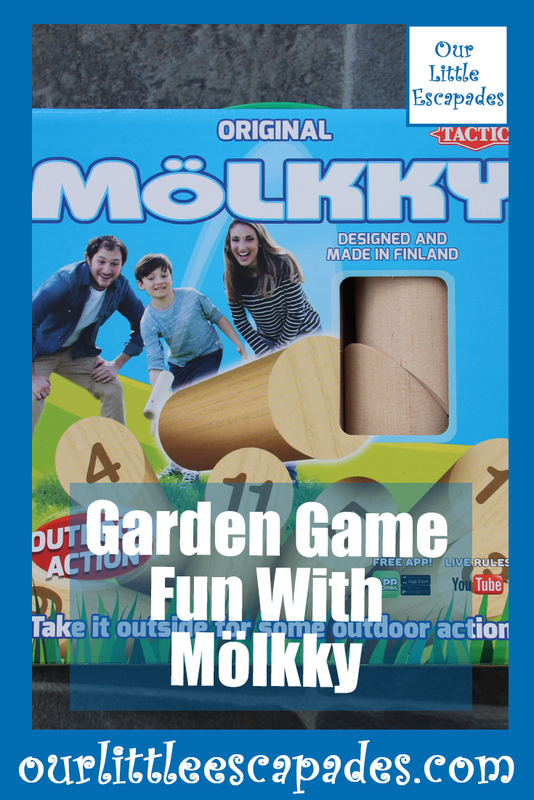 Mölkky is a skittle based garden game that we were sent to review and is perfect for these sunny days. To start the game the numbered skittles must be placed in a tight formation. The picture included in the instructions shows you the correct formation for the skittles. My children where a little too excited to let me replicate the correct order. The first player throws the Mölkky throwing skittle at the grouped skittles. This must be done at a distance of roughly 3-4 meters away. The aim is to knock over the skittles in the group. Any skittles knocked over by the player contributes to that players score. The number on the skittle they knock over are the amount of points they have won. When each players throw is complete the knocked-over skittles are put up at the place where they fell. If a player misses knocking down the skittles three times in a row they are out of the game. The game ends when a player reaches 50 points exactly. If a player sores over 50 points their score is lowered to 25 and the game continues. 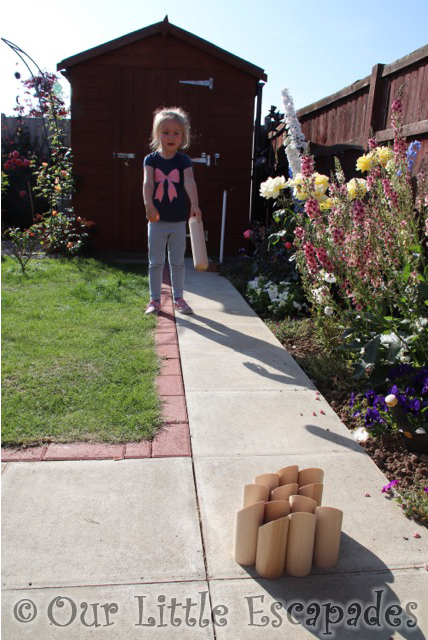 We played Mölkky with Little E, this might have meant that we didn’t stick to the rules 100% as she was very excited to be playing the skittle game. 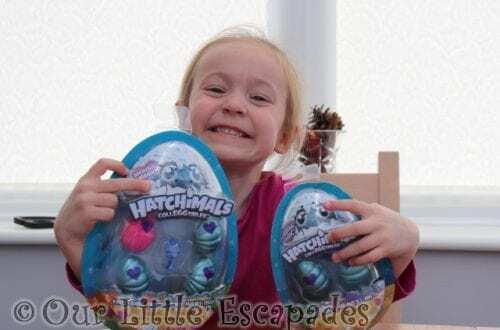 We found it a very quick game to master and throwing the skittle was very easy, even if Little E cheated a little bit. You can easily keep score using the Mölkky app which helps to reduce any debates over the current and correct score. Mölkky really does require strategy as you all aim to be the first player with 50 points. Going over 50 immediately puts your points back to 25. It can easily become quite competitive. 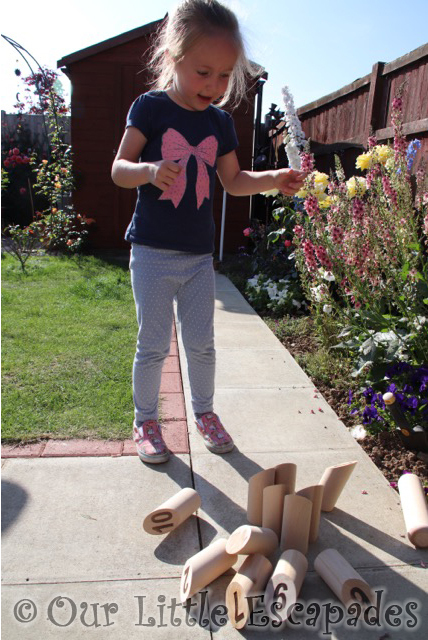 We really enjoyed playing Mölkky, it was very entertaining and filled a few hours of our sunny afternoon. 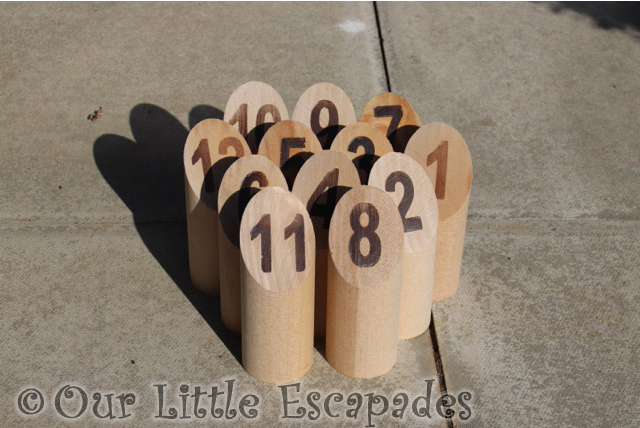 We are looking froward to playing this with other family members in the school holidays. I can see it causing lots of interesting debate. Its packaging means it can easily be transported and we may even take it to play at the beach. 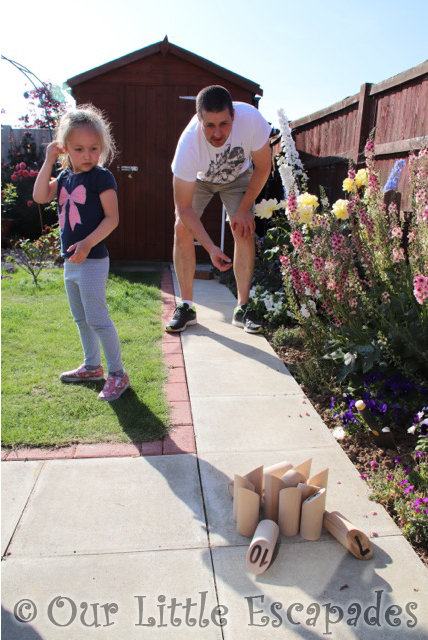 Mölkky is the perfect game for all of the family. DISCLOSURE – We were gifted Mölkky for the purposes of this post. We always give our honest opinions, findings, beliefs and experiences of the products.